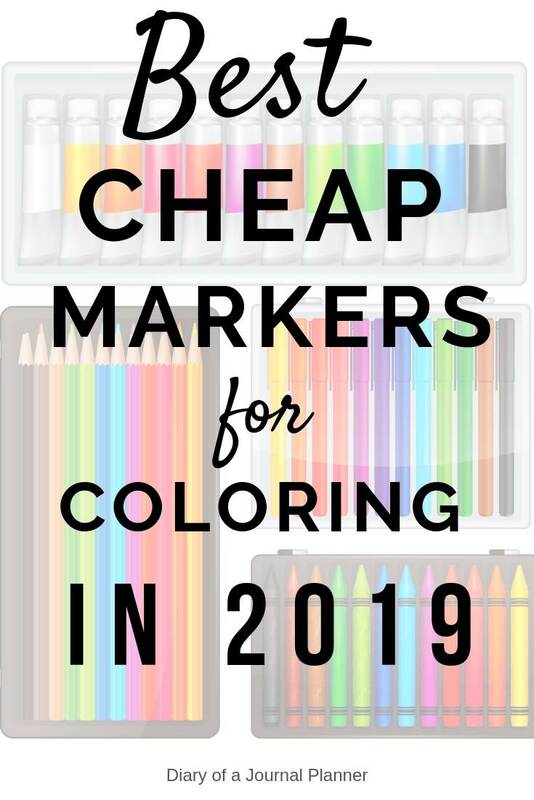 There are so many amazing markers for coloring pages and coloring books on the market today and that it can get overwhelming on which to choose. We have put together this easy list of the best colored markers. 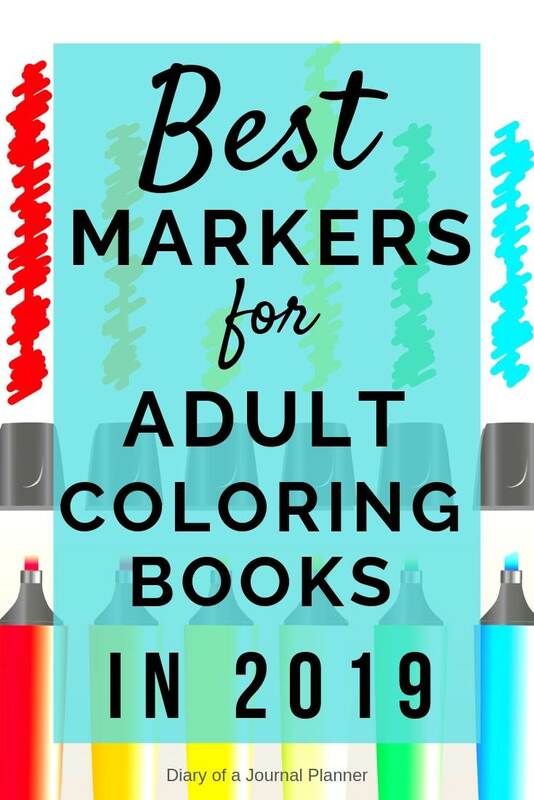 You will find them sorted into easy sections, like best artist pens and best alcohol based marker, so you can find exactly what you are looking for. 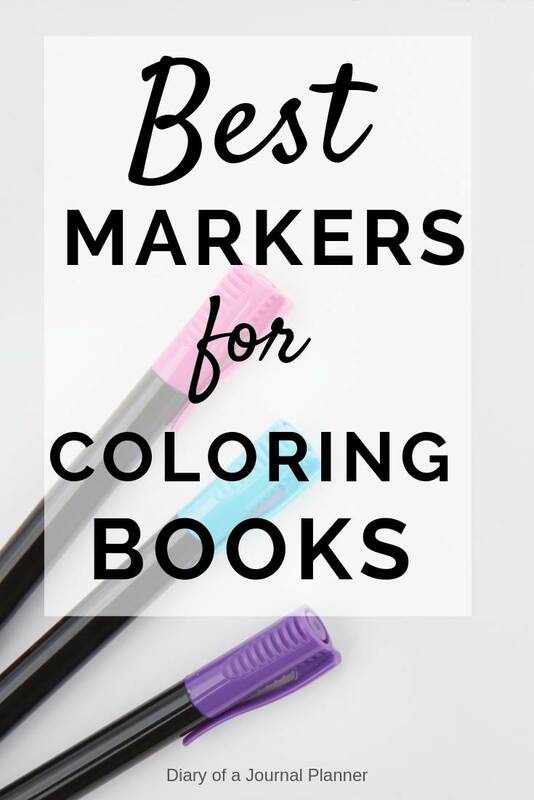 So read on to find out what are the Best Markers For Coloring Books! The Faber-Castell Pitt Pens are one of the best markers for artist that you can use in your coloring book too. The quality is amazing; they maintain their tips and you shouldn’t expect problems with smearing or bleeding. The fact that these pens tend not to bleed through paper makes them my go to markers for coloring on double-sided books. The paper still needs to be good quality so do a small test patch first to check. These are wonderful artist pens that should be in everybody’s must have list. Get your Faber Castell Pitt Artist Brush Pen Set here! With a brush tip at one end and a marker at the other these make great color markers for artists as well as for use in notebooks. 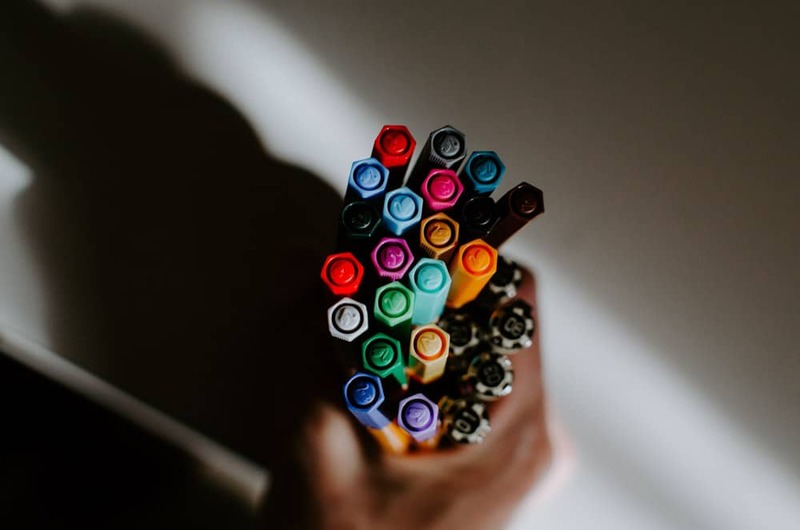 They are very popular amongst bullet journal lovers because not only they come in an array of gorgeous colors and you can also blend them without worrying about bleeding – they are safe water-based pens. You won’t be disappointed with the Tombows, they are one of the best brush tip markers available. Order your Tombow Dual Brush Pen Sets Now! These pens produce a stunning watercolor effect. It’s easy to add water if you like too. 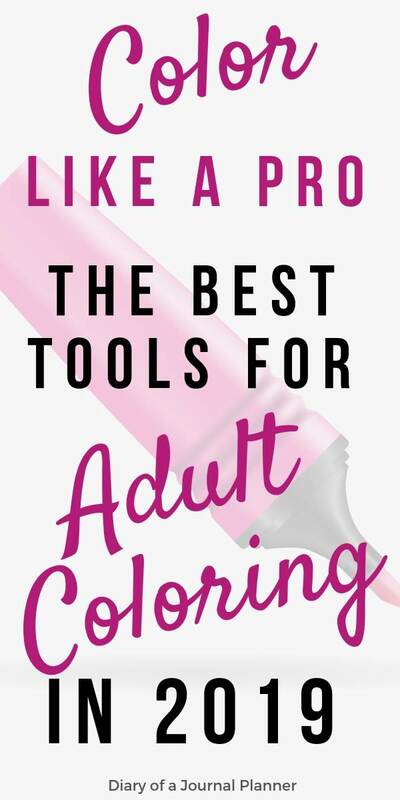 They are fantastic for coloring and shading as well as using for calligraphy which makes them one of the best coloring markers for adults. With a very competitive price, you might be the best option is you are on a tight budget. 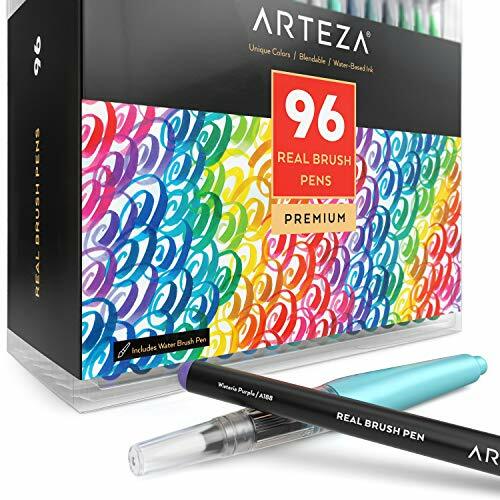 Get your Arteza Real Brush Pens with 96 Markers here! I love these dye-based pens and they make great marker sets for adults. You can change the thickness of the brush strokes by simply altering the pressure you use on the nibs. They come in really vibrant colors and the tip quickly returns to its original shape so you will get long use out of them. 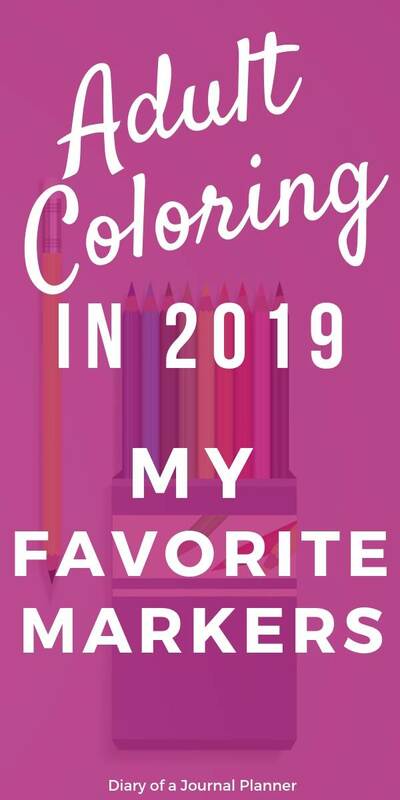 You might get a little bleeding though if you saturate the coloring page, so best for coloring books with patterns printed on only one side of the page. You can add Sakura’s Koi Colorless Blender Set to easily blend these pens too. Get your Sakura Koi Assorted Coloring Brush Pen Set here! 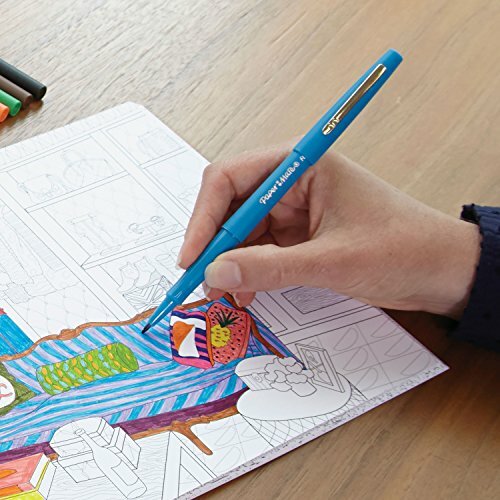 These are great basic coloring pens, come in lots of colors and are one of the best markers for kids too. Water based, non-toxic and with the quality we come to expect from Crayola, you can never go wrong here. 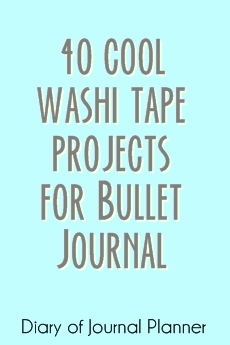 You can also use these pens for easy bullet journal fonts and brush lettering. Get your Crayola Washable Broad Line Markers here! These fine tip coloring markers are the same great value but are better for finer details. 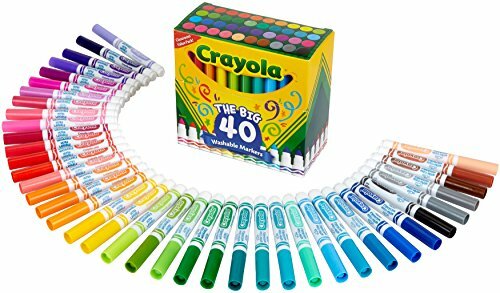 Crayola supertips also come in vibrant color sets, all available on Amazon. 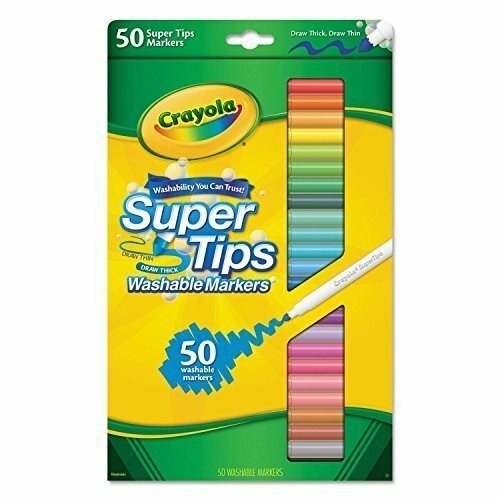 Get your Crayola Super Tips Markers here! Alcohol based markers tend to blend together much better than non alcohol based, but they are not meant to be used in a journal or paper printed on both side because they will bleed through. Alcohol markers soak and saturate the paper fibers making it easy to fuse the color because there is enough ink within the paper to mix. If you enjoy doing some stand alone drawing then they’re great for coloring! 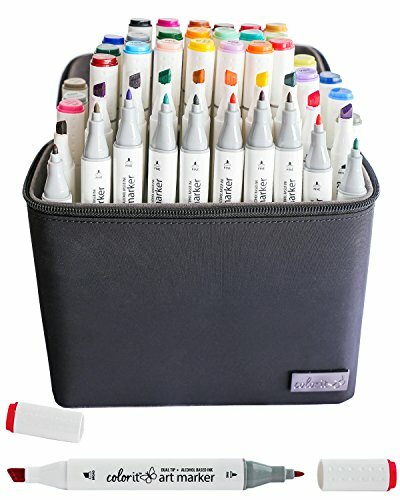 You can use them to practice shadow on drawings and blending technique. 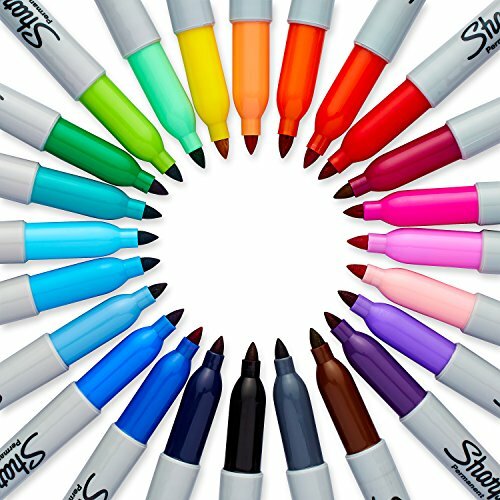 Sharpies are always a favorite with stationery fans as they come in so many beautiful bright colors and the price is fantastic. Although they are smooth to color and super fast to dry, Sharpie marker sets for coloring are solvent based and may bleed through depending on your paper. So always test first! It is best for single sided coloring sheets or very good quality sketching paper. Here are some doodles I colored with some of these pens. Get your Sharpie Permanent Markers here! These pens are amazing and some of the best alcohol based markers! Not only can you blend colors but by using their special mixing chamber you can go from light to rich jewel hues with one colour or with two. You can get shading effects, color graduations and more. It’s easy to get 3D effects in your coloring with these techniques. 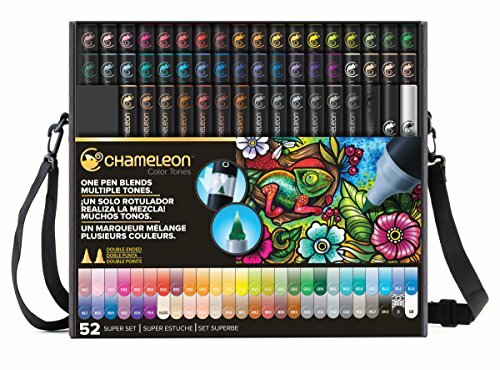 Get your Chameleon Art Set here! 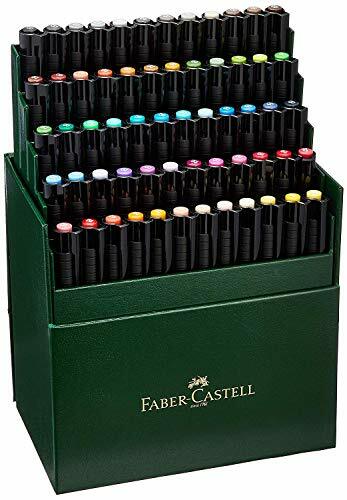 These are great pens and a bit cheaper if you are looking for fine quality pens but aren’t ready to invest in the Copic markers that are next on the list. 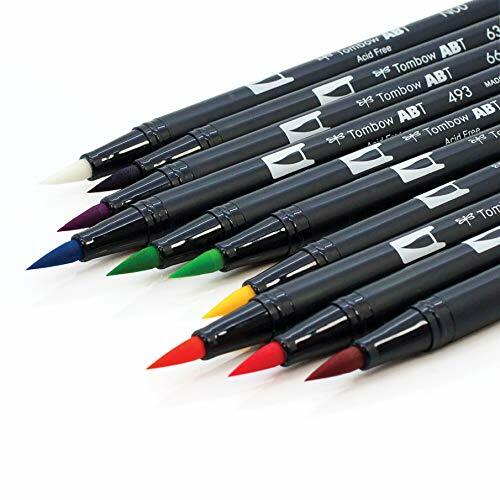 Not only it comes with rich pigments and offers superior blendability they are also dual-ended markers, featuring both fine and chisel tips. Since they are alcohol based, you should expect bleeding unless you use them on 200-300gsm paper. 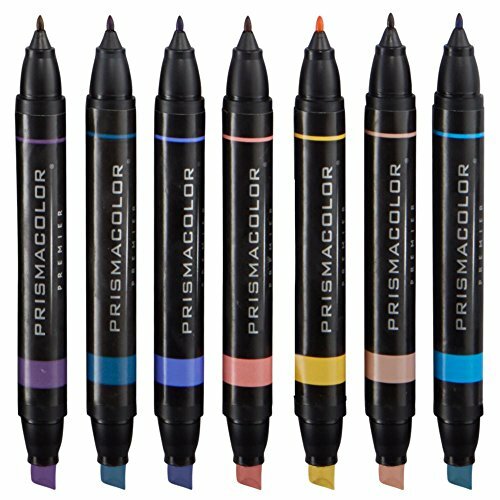 Get your Prismacolor Double-Ended Art Markers here! 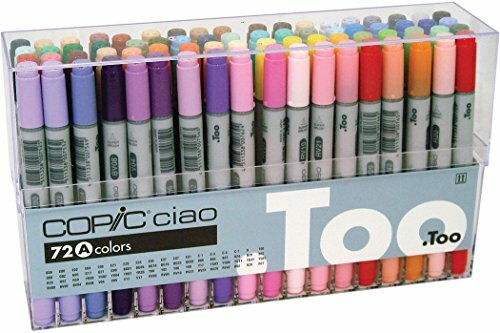 One of the best colored markers for artist. The ink is so vibrant and you can produce great blending effects. These pens aren’t cheap but they are fabulous top of the line products. They are also refillable and you can replace damaged nibs which are great features. They are amazing for blending and you can build colors beautifully (if the 380+ colors available aren’t enough). Since they are alcohol based they will bleed through almost anything and you definitely need to look for you a notebook with marker paper. 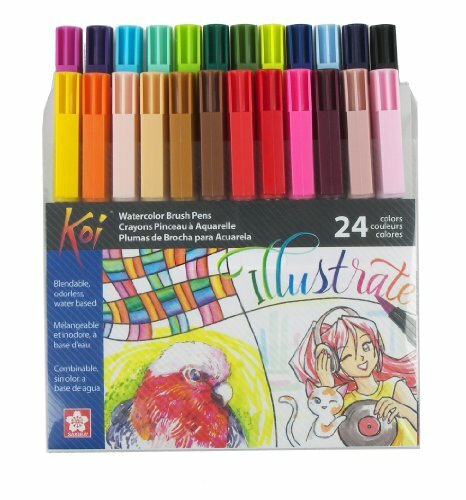 But with the right paper these are excellent choices and one of the best markers for drawing, illustration and other artwork. Get your Copic Premium Artist Markers here! 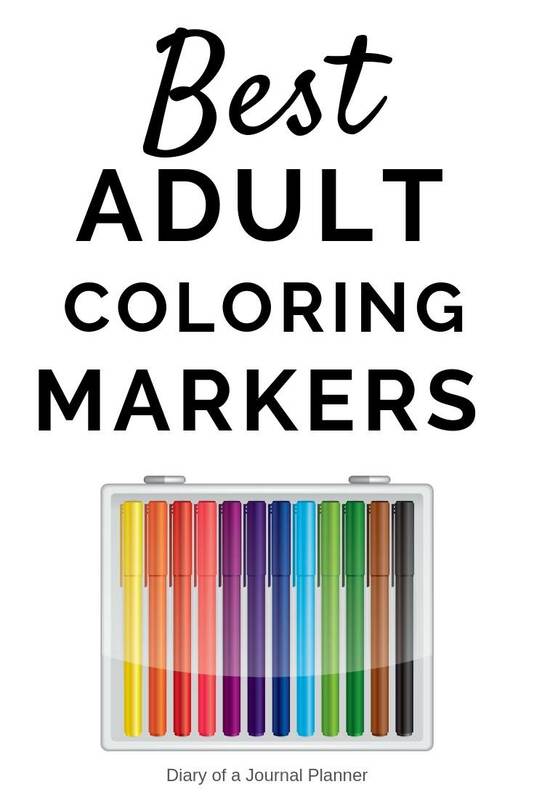 Color it marker set is designed specially as adult coloring book markers for books which are printed on only one side. They are really ergonomic which is great if you are coloring for relaxation and to avoid muscle fatigue. They colors blend well and the price is good too. Get your ColorIt 50 Dual Tip Art Markers Set here! Some of the products above come in felt tip nibs but here we are talking about fine tip pens. Even though not necessarily coloring pens these can be used for fine detailed work and work just as fine as broader felt tip markers depending on the kind of pattern to color. One of the best fine tip markers on the market. These pens are super fine and quick drying which is great for preventing smudging. They also make perfect fine point markers for coloring as you can color larger areas easily. One of my favorite features is that even if you (or your child) forget to replace the cap they won’t dry out! 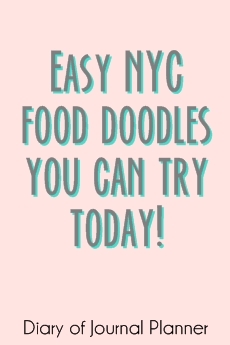 They also make fantastic pens for doodles. 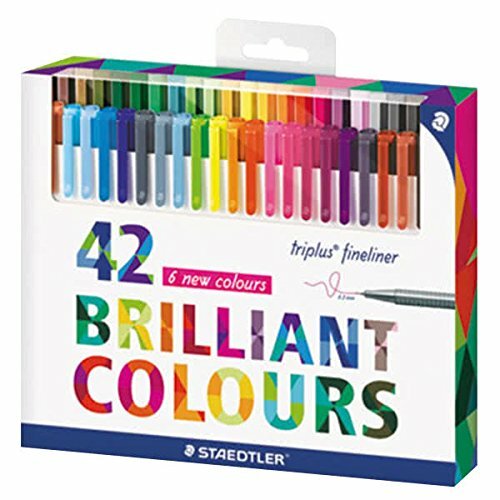 Get your Staedtler Assorted Super Fine Water-Based Markers here! These are really versatile pens and come in so many colors. They are great to write with as well as use as no bleed markers for coloring. If you use them on glossy paper be sure to let it dry for a while as they can smudge. Get your Paper Mate Flair Felt Tip Pens here! Click to find out more about our favorite stationery supplies. Did we include your favorite colored pens? Let us know if we missed some and we will be sure to include them. We would also love to hear your personal experience with these markers.